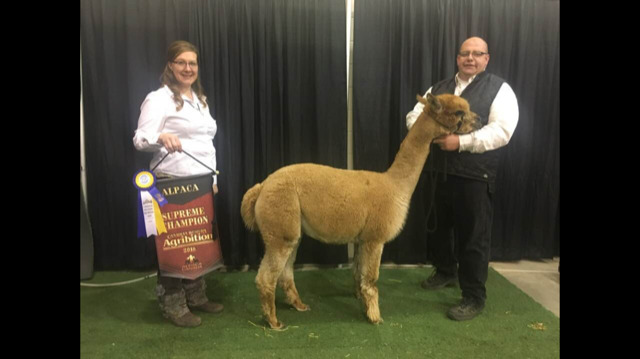 Just wanted to update everyone on the amazing success of the "Premier Alpaca Event" alpaca halter show that took place during the Canadian Western Agribition on November 19 and 20 in Regina SK. Our last show was in 2001 but our industry outgrew what Agribition had to offer for stalling. 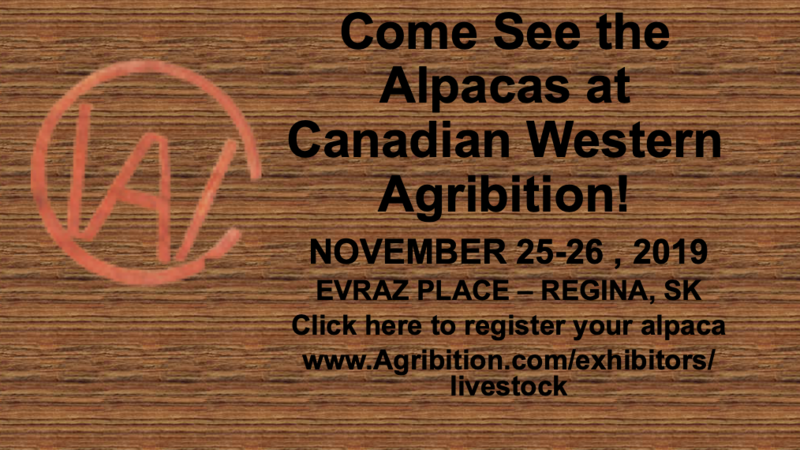 This year when SABN was contacted in May, we said "Absolutely, we would love to bring alpacas back to the Canadian Western Agribition!" Our judge this year was Mary Jo Smith from the UK and we had 55 alpacas registered in the halter show from BC, AB, SK and MB. The alpacas and exhibitors arrived on Sunday, Nov 18. The facility at Agribition is huge and houses all the cattle breeds, bison, long horns, rodeo, youth rodeo and so much more. 130,000 plus visitors from all over the world come to Agribition for the week long show. The pens were a perfect size with electricity so we could run fans, there was water access at the end of every row and we used straw in the pens for bedding - it worked out just fine. Monday was the first day of Agribition - the National 4H Youth Judging competition happened in our show ring and they used 4 of our alpacas with 4 youth alpaca handlers - Cody Shotter, Mason Shotter, Ariena Vos and Bryden Sparks - who did an amazing job. I also did 7 radio and newspaper interviews on Monday morning, and then Cathy and I also did a TV interview that aired the day of our show. There was a lot of public with many people coming to see the alpacas wanting to know everything they could, including where to buy alpaca products and purchase alpacas. Cathy Merkley did an Alpaca 101 seminar in the afternoon, with about 60 people in attendance - it was a great day. Tuesday was the alpaca halter show - Mary Jo Smith choose Dreaming' Jase of Dreaming' Alpacas from Hague, SK as the Supreme Alpaca. Please visit Alpaca Canada website to see the results or also the Canadian Western Agrimation website. Congratulations! The alpacas were released at 6pm after the visitors were done in the barns for the day. The Canadian Western Agribition has invited SABN to host the 2nd "Premier Alpaca Event" alpaca halter show on November 25 and 26, 2019. Robin Nasemann from Germany has agreed to be our judge. Please plan to attend this amazing event - it truly is one of a kind in Canada! Robin Nasemann was born in Germany. 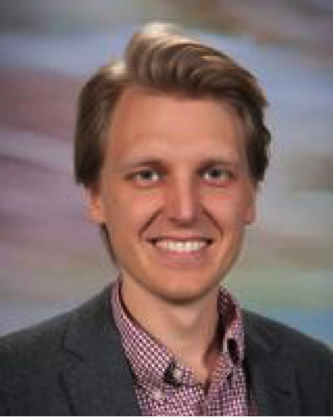 He attended school in England and has a masters degree in economics from the University of Lugano, Switzerland. His family started breeding alpacas in 2003 and now has a herd of 70 alpacas in the west of Germany. Since 2006, Robin is a certified Screener for the AZVD (Alpaca Breeders Association of Germany) and has screened alpacas all over Europe and South America. For several years he was a member of the board in the biggest alpaca association in mainland Europe. In 2010, he began the AOBA judging training program which he finished as certified AOA Judge for Halter and Performance in 2013. He has judged alpaca shows in France and Canada, and gives frequent seminars about alpacas across Europe.